Join us for this session as Martha Soehren, Chief Talent Development Officer and Senior Vice President at Comcast University and Comcast Cable, talks about how to take the driver’s seat in your career while also enhancing your personal life. She will discuss how to set attainable yet adjustable goals and why it’s important to take risks throughout your journey. Martha will combine lessons from her career with pointers that might be helpful to you. Martha Soehren is the Chief Talent Development Officer and Senior Vice President at Comcast University and Comcast Cable. Her career encompasses 14 years in the telecommunications industry; 25 years in the defense industry; and 13 years as an adjunct professor and research/academic advisor. In addition, Martha holds undergraduate and graduate degrees in business, as well as a PhD in Educational Leadership and Policy Studies. She is an honor graduate of the Army’s Management Engineering College. Martha serves on the Doctorate of Learning Advisory Board for the GSE/Wharton School of the University of Pennsylvania. 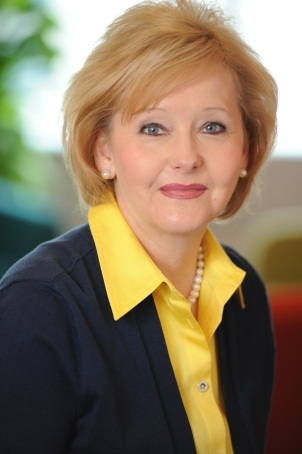 She also serves as Comcast’s National Board Member and is the 2015 Chair for Women in Cable and Telecommunications; is the Selection Committee Chair for ATD’s Board of Directors, and was the 2014 Chair of the ATD Board; and is on the Board of Directors of the Society of Cable Telecommunications Engineers (SCTE) where she chairs the Membership Committee. Additionally, Martha is an Executive Champion for the Comcast Veteran’s Affinity Group. Don't miss this month's SIG Spotlight: Learning Technologies! Listen to the Learning Technologies SIG Leaders for a brief description and introduction of their SIG events and the benefits of attending.